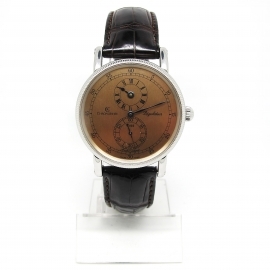 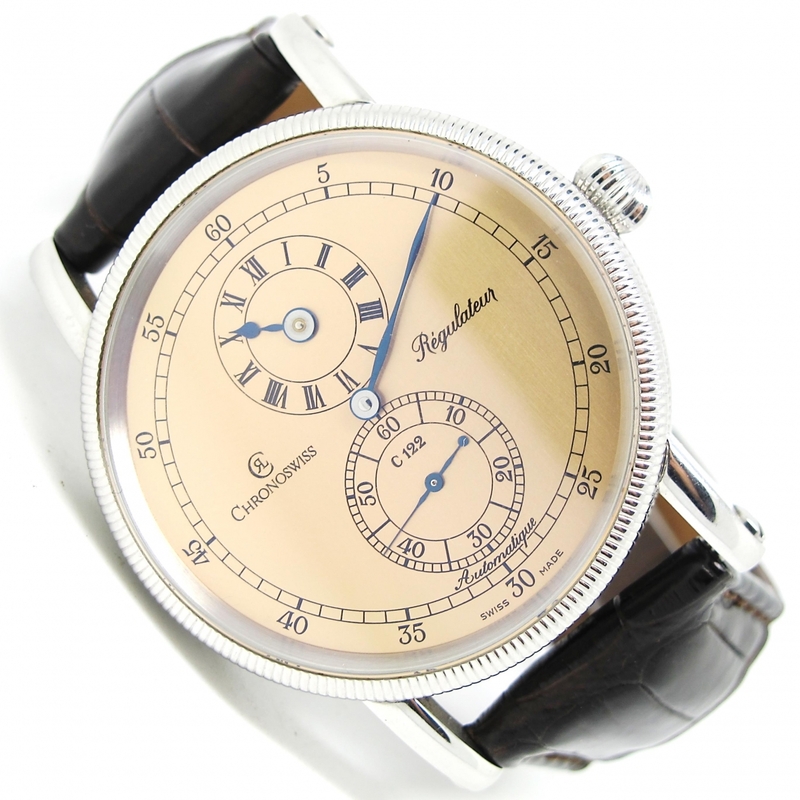 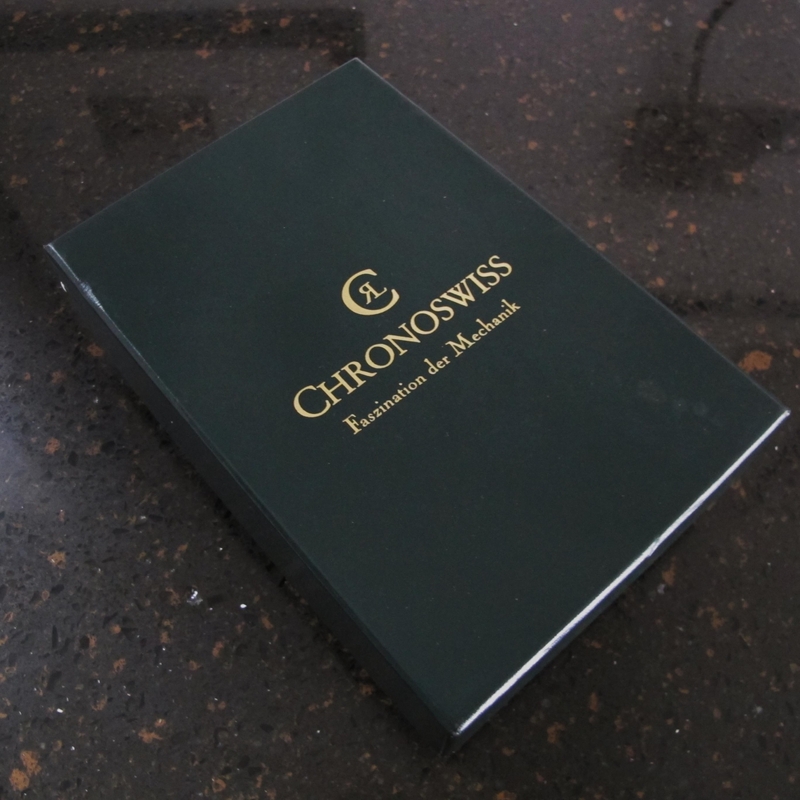 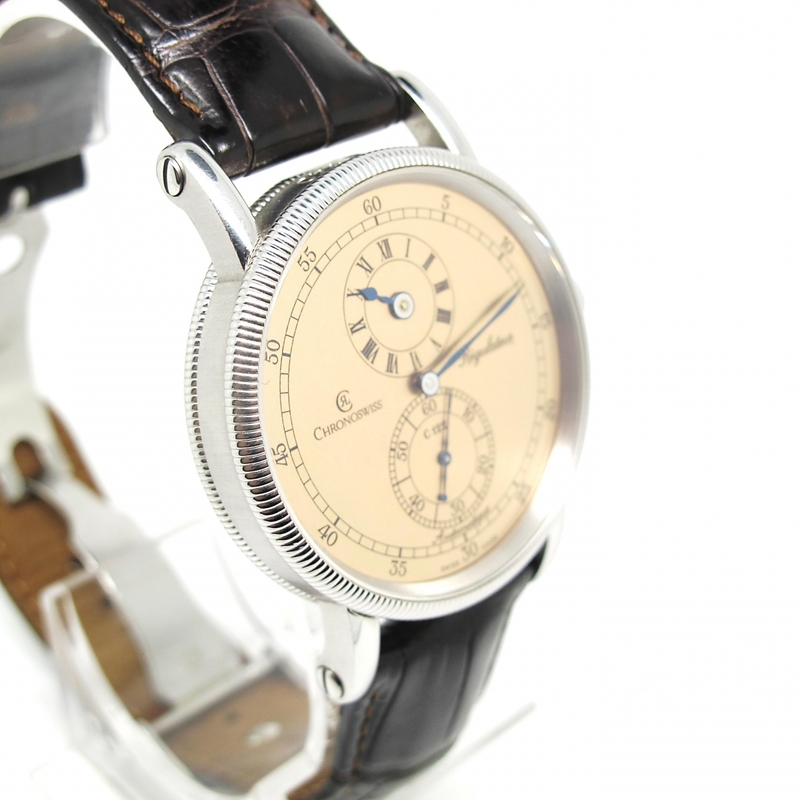 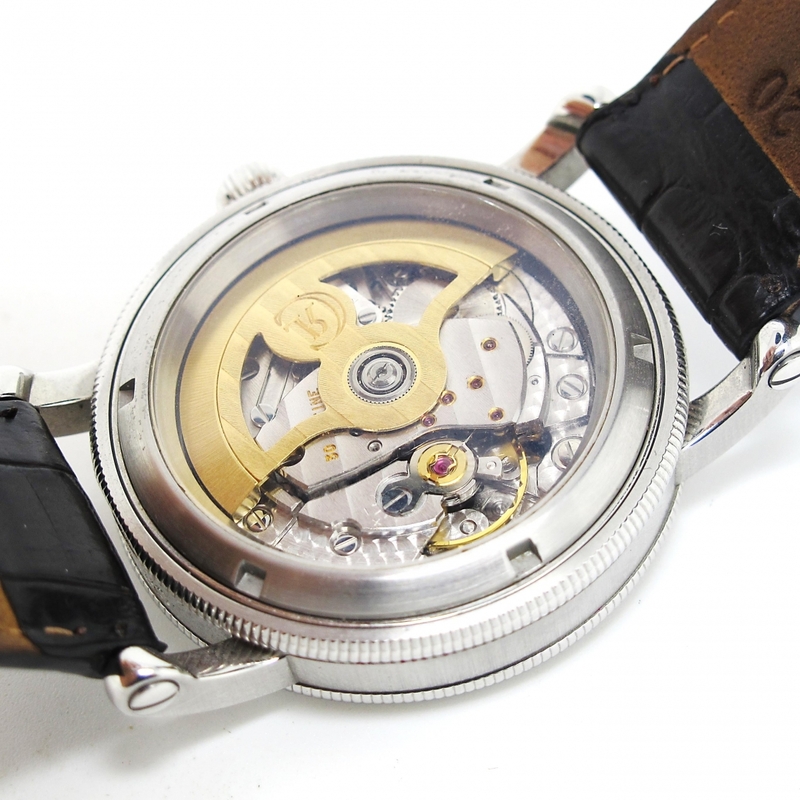 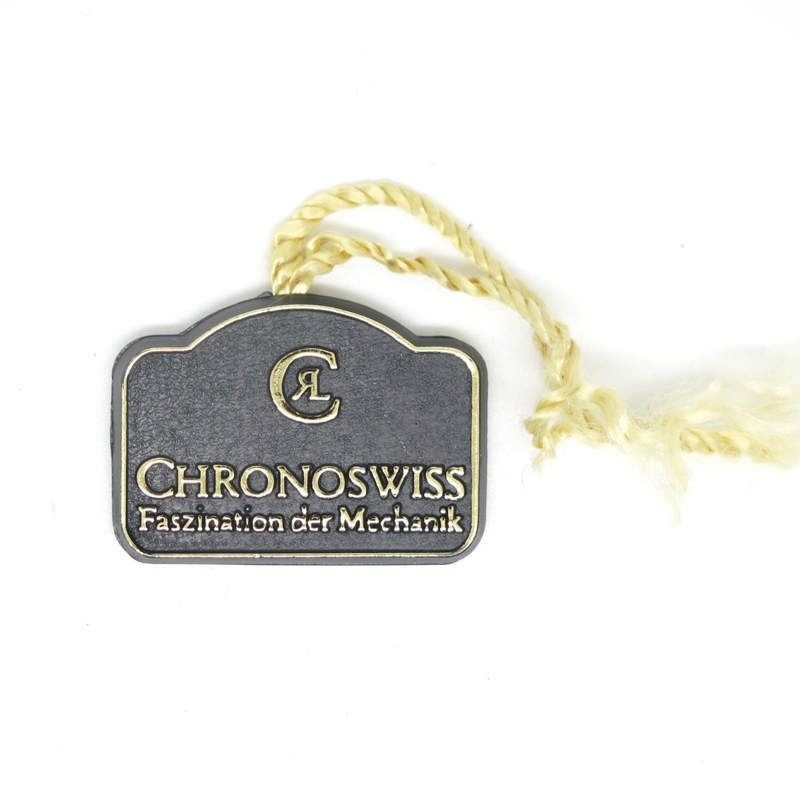 A fine, automatic wristwatch by Chronoswiss. 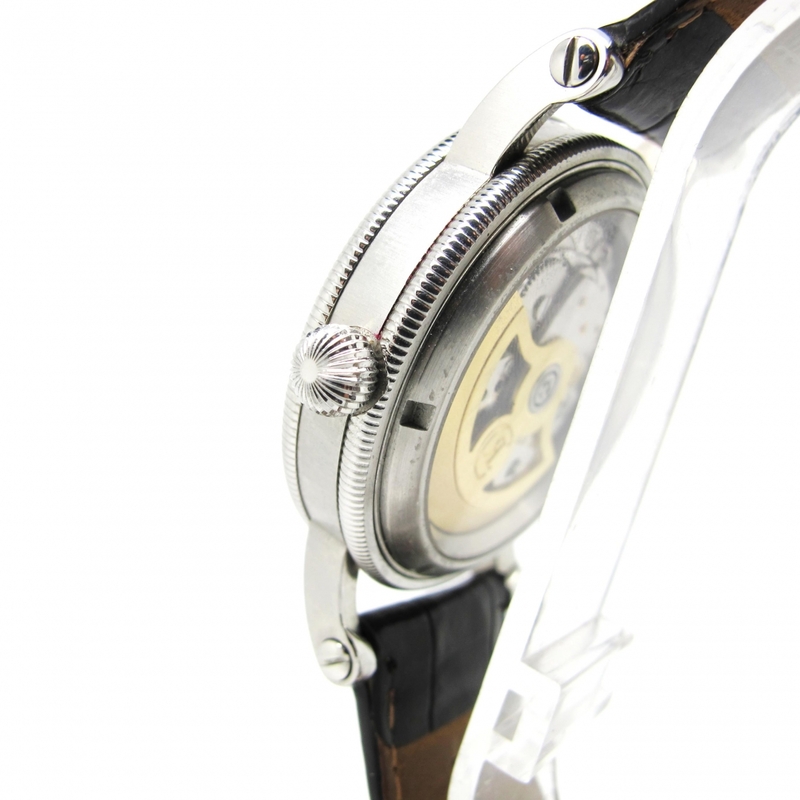 The dial is set out as a regulator clock would be. 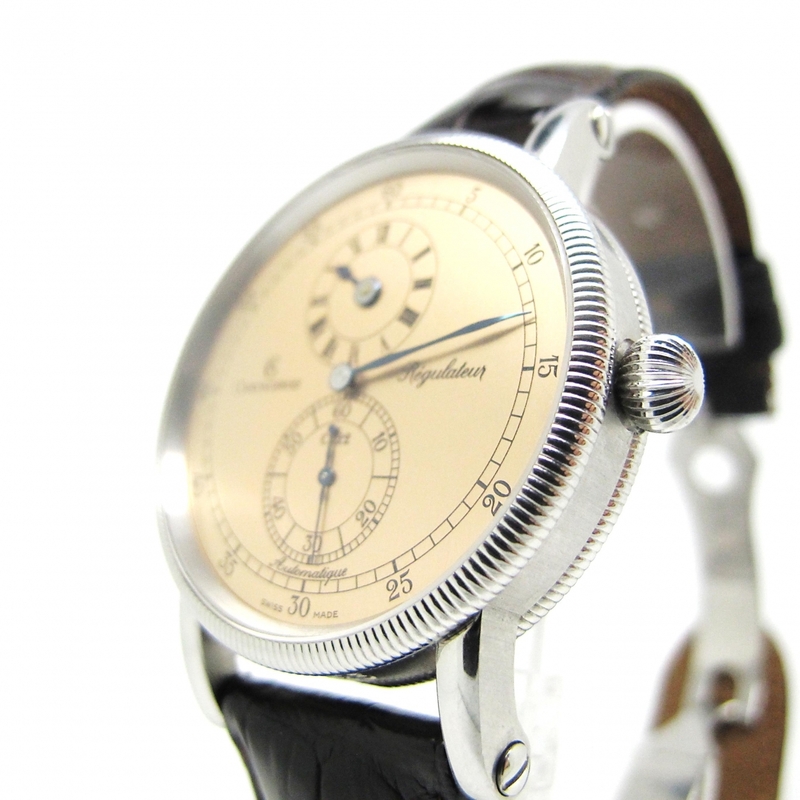 Regulators were made to be easy to read with the minute hand dominating the dial, the hour hand is in a smaller subsiduary dial with a further dial for the seconds. 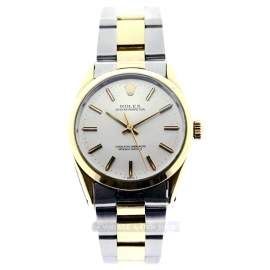 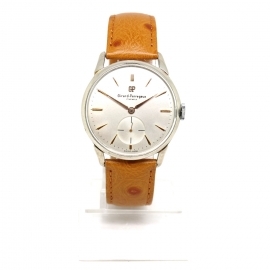 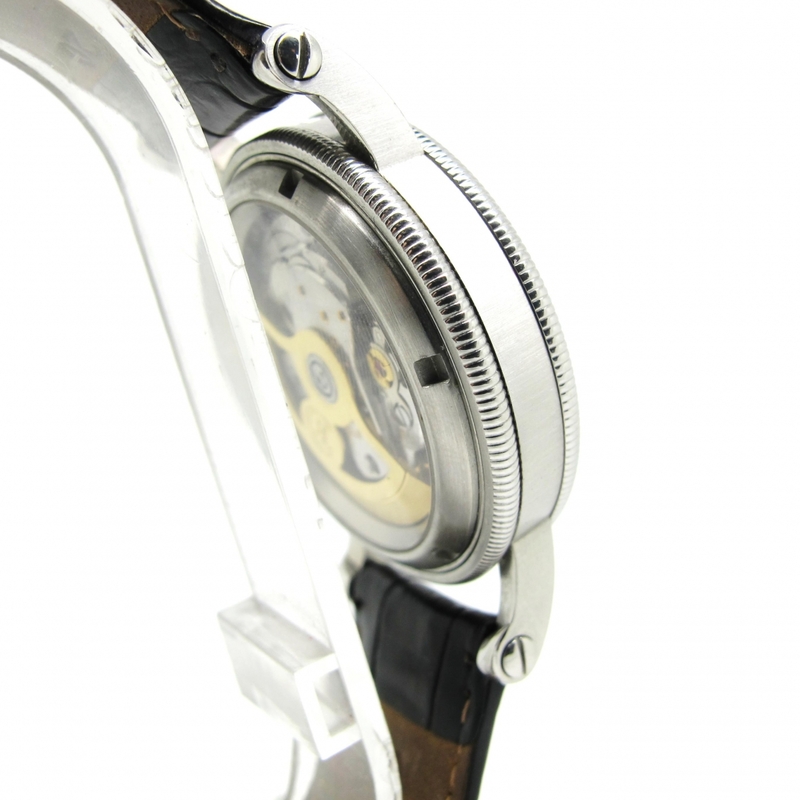 The dial is in a superb copper colour which contrasts perfectly with the steel case. 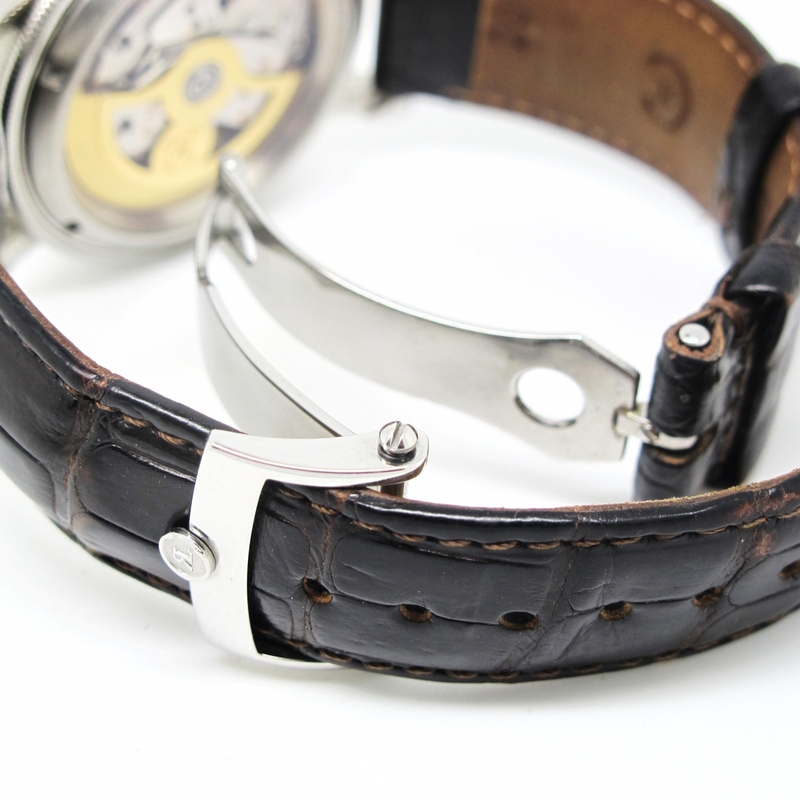 Brown alligator strap with attached deployment buckle. 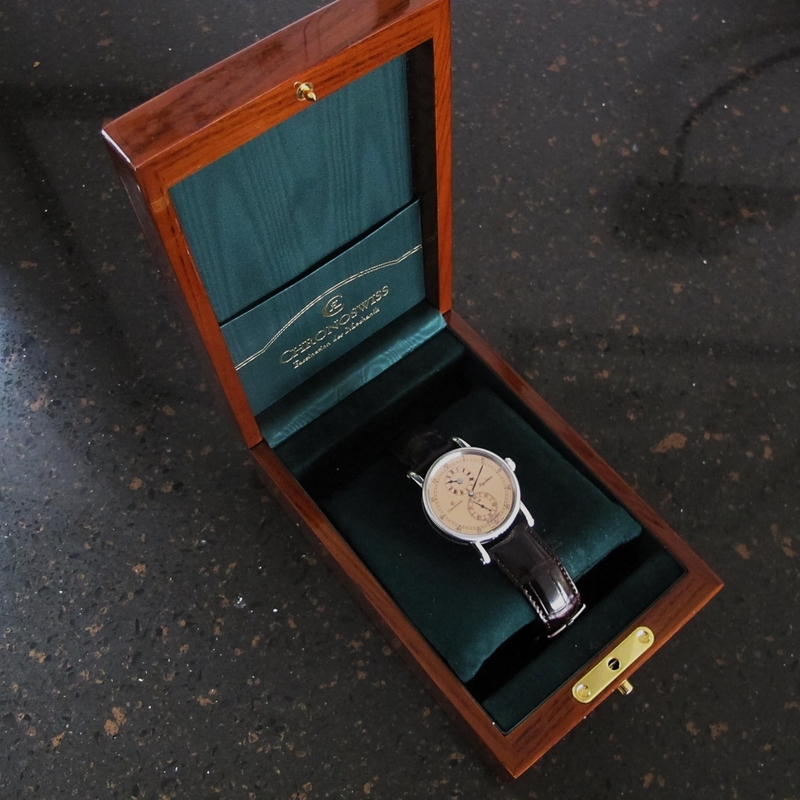 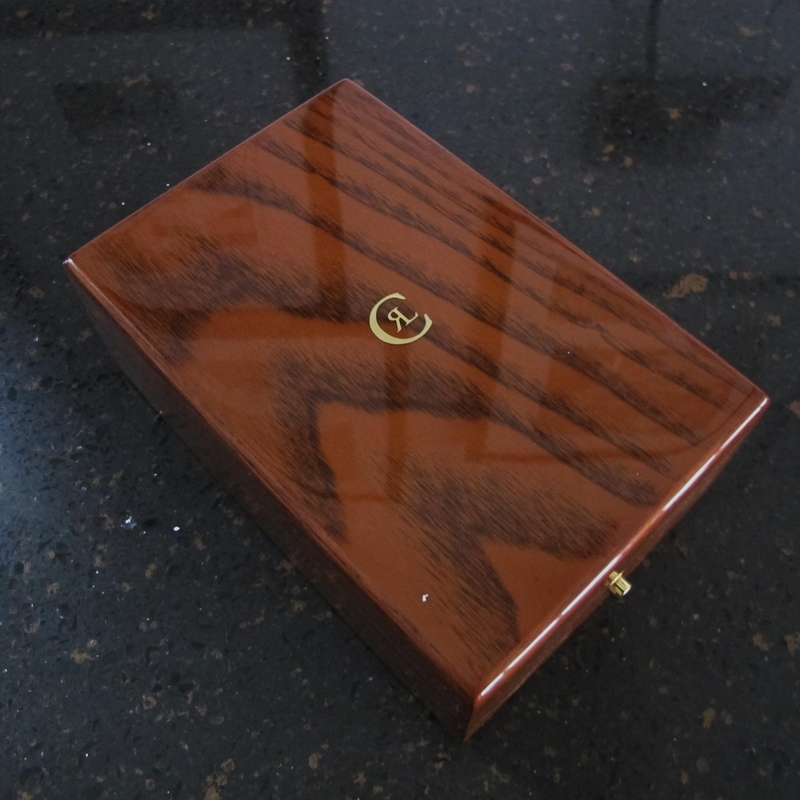 The watch comes with its fine wooden box and green outer packaging.